For me, the model links well to the three basic questions what do I do, how do I do it, and why do I do it, see page “About dubioblog“. 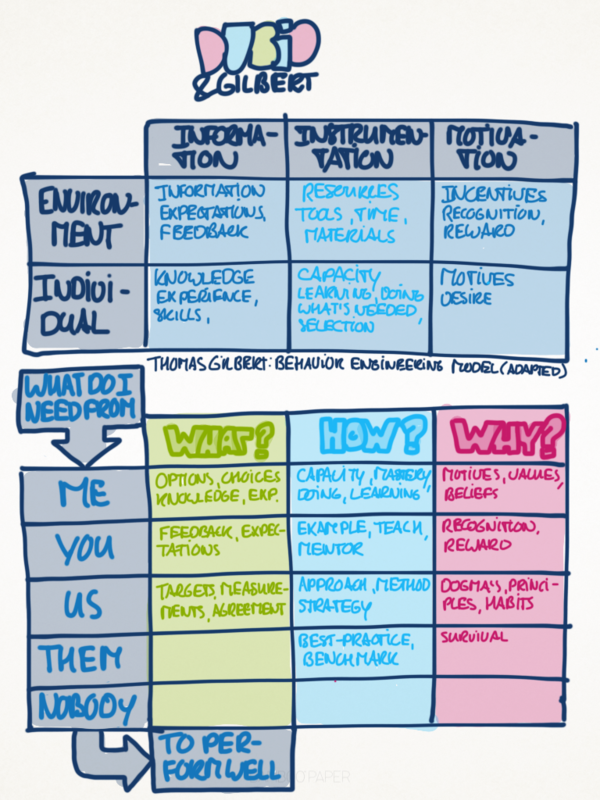 So in the lower picture, I made an adapted version of Gilbert’s model. As you can see, it’s not quite finished yet, but I hope it already starts to make a little sense. I added a personal touch to it (contrary to the ‘engineering’ approach of Gilbert), because we’re still talking about people, right?! Q: Dear reader, what do you think about the models?